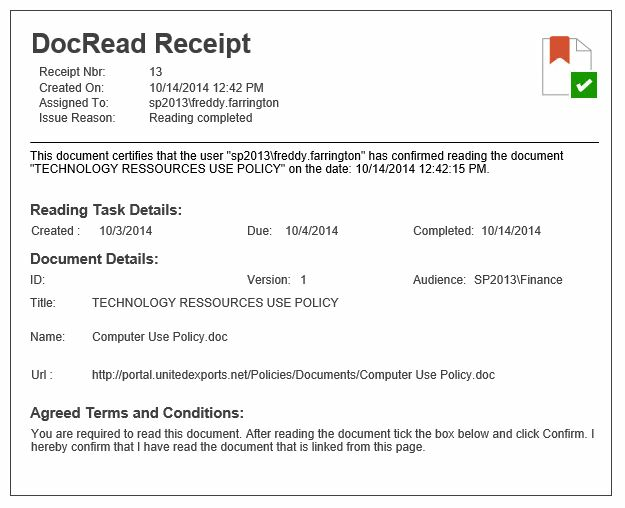 DocRead receipts are PDF certificates that are generated to confirm whether a user has or has not completed a reading task. 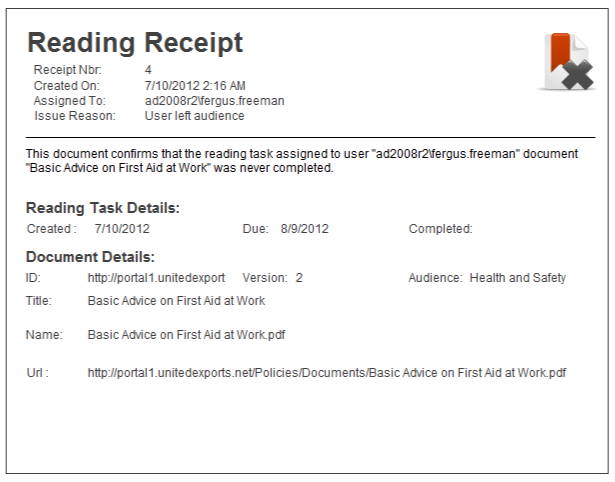 The Reading Receipts can be exported or downloaded by the user for their own records. 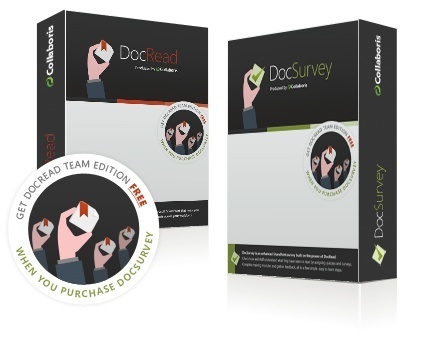 All Receipts are available on a drill-down repor﻿﻿t. 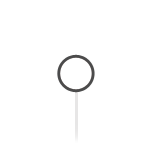 Positive Receipts confirm when a person read a particular version of a document and also the terms that they agreed to when confirming they read it. 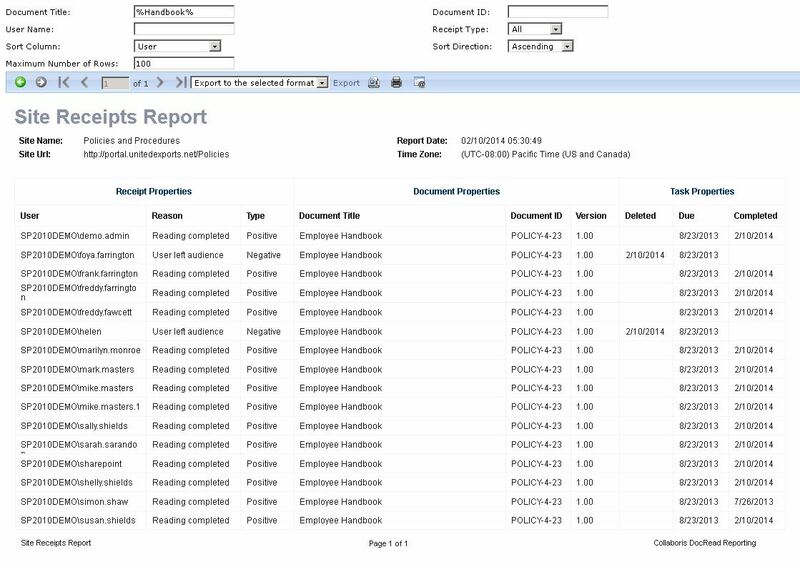 Negative Receipts are generated in situations when a person did not read a document before the task was deleted. 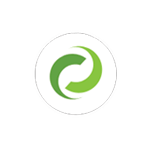 This can occur for genuine business reasons such as the user moves departments, leaves the organization or because the document was removed. 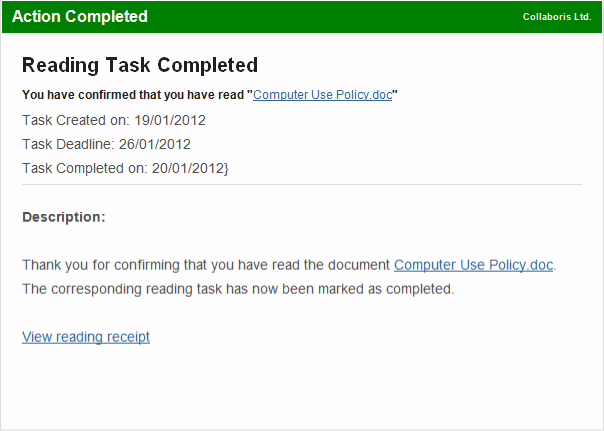 Links to receipts are sent in completed emails and can be accessed from the task information panel.